I’ve started my transition in early January 2016 (at age 23) the same week of my Boston consultation trip, surprisingly. During my last months, I was researching and trying to decide an FFS surgeon – I’ve read through many forums, FFS surgery videos and looked through RealSelf. I felt that I definitely needed surgery to restore my confidence and be complete from within, as I knew hormones (HRT) would have its limitations into facial bone structure as far as it goes. 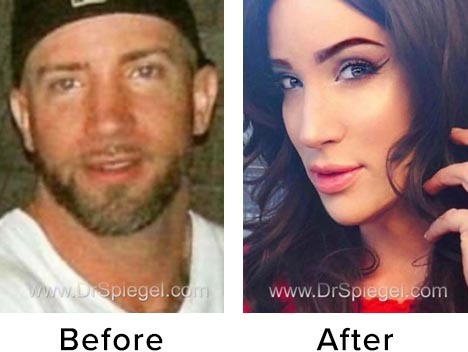 So, I’ve researched numerous doctors specialized in FFS around the world and finally came to a conclusion that Dr. Spiegel was the right surgeon for me. I arrived in Boston in mid January 2016 to meet for a consultation with Dr. Spiegel. The consultation as far as I remember was about an hour long all together. I was really excited to go through my thoughts and feelings of what I really wanted done and the ideal image of that woman I ought to have been born. Although, I never had difficulty passing as a female even without any application of makeup sometimes, I still felt insecure about some of my masculine facial features and this is the reason why I’ve decided to do FFS. Luckily, I was blessed to be femininely androgynous to begin with, and didn’t need significantly/overdone major work. I was still really unhappy with my chin and jaw-line mostly. The rest of my facial features were okay, not very masculine anyhow, but still definitely needed refinement here and there. 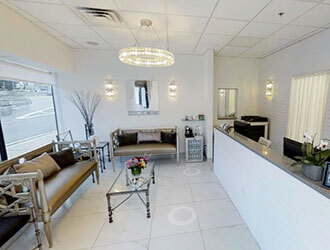 I needed a surgeon with artistic talent and natural looking results, hence Dr. Spiegel was the choice for me. I thought about whether I should do the surgery all in 1 round or in 2 rounds. But, I’ve decided to opt to do it in 2 rounds for faster recovery and less discomfort from all the swelling I would be experiencing – perhaps I just wanted to see the changes slowly, and I knew that doing all the procedures would be far too much burden on my body in one go. I was definitely excited for my surgery, and willing to travel back again for round 2 during the same year in May. After months of waiting and considering my options and which procedures I wanted to do. I booked my first surgery date for 5th January 2017 (this will also be my 1 year post HRT). I’ll be going into surgery to do: Trachea shave, Mandible contouring (jaw & chin), Lip lift, Lip augmentation (using my own dermal tissue) and Cheek augmentation (CBSM-L). I was very excited at the time! Although I was worried what the swelling and pain would be like short-term, but I knew it would be worth it for a lifetime of happiness! 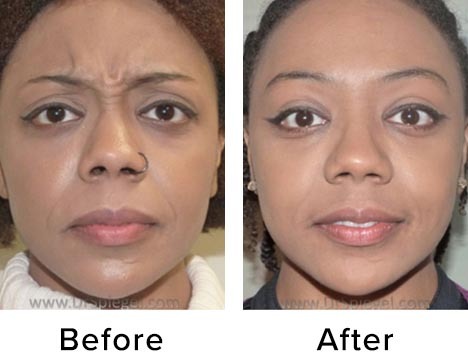 Then I booked my second surgery shortly afterwards, which was scheduled for 4th May 2017 (4 months after my first round of procedures) for just the Forehead contouring (removal of bony ridge) & Brow-lift, I didn’t feel that I needed to include a rhinoplasty (in my case, this would be a revision rhinoplasty) as it was only a minor difference in tip work. Well, I was still kind of still happy with my primary rhinoplasty I did several years ago. Also, I knew that a forehead surgery would definitely open up my eyes, making a nice change to complete my profile. Day before surgery: At my pre-op appointment my surgeon went over what we were doing, and what needed to be changed and his further remarks and recommendations, we opted to include lip augmentation and go for large implants size in the end, pre-op lasted about 2 hours. And all aftercare instructions for each procedure and date/time of surgery is included. Day of surgery: Day 1, the big day was finally here! The hard part was I wasn’t able to eat or drink anything after midnight, and my surgery was until later around noon, but I managed it! :) I met all the staff, nurses, and Dr’s for the operating room; they were all lovely and caring. Finally I met Dr. Spiegel, and we went over what we were having done. My time for surgery came, and I was given a medication where I completely passed out. From this point I don’t remember anything! Until waking up all swollen & happy! :) The swelling wasn’t as bad when I woke up. Day 2, the swelling increased and some bruising around my eyes, my lips were very very swollen, but I still liked how my face turned out even beyond all the swelling. I tried to manage to gather some sleep, and had applesauce in the morning which was really soothing, I really wanted to go back to the apartment and rest there. Start of Day 3! And the swelling was definitely at the highest peak point (eek) I’m trying to keep the liquids up drinking yogurt and protein shakes to stay energized and drinking lots of water, I slept okay yesterday too, I don’t feel much pain but from now on (2 painkillers & sleeping pills before bed usually help getting some rest) now it can only get better after today. At Day 5, I noticed the bruising increasing as it started to heal up fast and the swelling was going to eventually come down. I continued to drink lots of water (4 liters per day) take my medications, drink my protein shakes. Day 6, my lip sutures were removed, and I can see my profile much clearly, I loved the lip lift! :) By Day 7, most of the swelling around the eyes was completely gone, and I felt I’ve regained most of my strength back. I continued drinking at least 4 liters of water a day, and kept well fed, lots of soft food like boiled eggs and soup. By Day 14, majority of the swelling subsided but my left cheek, lips and neck area was still swollen. It’s was differently getting better each day. I felt it was necessary to extend my stay further 11 days due to the excessive swelling. By around Day 21, I had seen Dr. Spiegel for my last visit before my flight back, he assured me everything was fine and OK – everything looked and felt so much better at this stage. By Week 6, I regained mostly all of my energy finally back and began to see my results! At this point the major part of the swelling was gone, I really liked how everything turned out. [Note: Even at 6 weeks I had residual swelling, the healing process takes time, and it really takes a lot of patience to see the actual results]. I was really excited for my upcoming surgery in May, since January time flew by so quickly and the next day I knew I was on the flight to Boston. I checked in to my Airbnb after a long night. My consultation was on the following morning, and I was very excited to see Dr. Spiegel as well as the staff :). The morning of consultation (day before surgery, pre-op) I was very excited, we went over what was going to be done, and Dr. Spiegel’s remarks and recommendations. I was extremely happy from the first round of my FFS in January, but I knew I still had an area that I wasn’t so comfortable with especially in situations where there was overhead lightening or in windy days my forehead and “brow bossing” would look somewhat more prominent and this made me less confident with myself. Dr. Spiegel recommended the Forehead Contouring [type 3] via coronal incision (without scalp advancement) & with a Brow-lift. The incision was done in hairline because I notably didn’t have any temporal hairline (M) recession and my hairline was somewhat round and feminine. 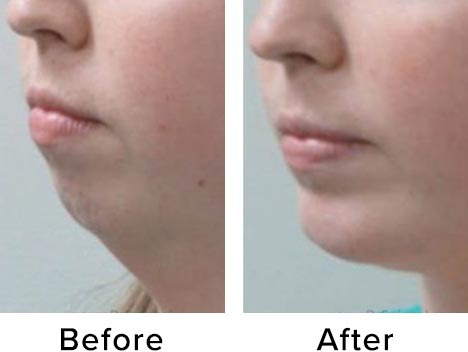 He also recommended to do steroid injections on my lip-lift and trachea shave scar, which would reduce the appearance of the redness of the scar. Consultation lasted about an hour and half, and we went through the aftercare and post op instructions. I knew this surgery wouldn’t be as difficult as the first round that I had, but I knew I would be happy beyond all the swellings and discomforts, and it would definitely complete the profile I always desired. My surgery was booked first thing in the morning on 4th May 2017. I’ll try keep everyone updated on my FFS journey and my recovery. I’ll post some pictures from the time to time, so that everyone considering FFS can make informed decisions on whether what they decide to do, and something they can be sure of that is definitely worth. Beyond the short-term minor pain, swellings and discomforts it’s very rewarding in the long-term. My advice is to take Vitamin-C (500mg), Arnica Montana, Bromelain (500mg) at least 2-6 week after surgery. And, Icing for the first 3 days as much as possible. These help the swelling and bruising. Don’t feel stressed or depressed with the swelling as it’s definitely not the final result. I was freaking out from the swelling the first 2 weeks, it’s norm to feel this way, so try not to fixate on this. It’ll get better! I also recommend booking maybe an Airbnb if you’re an outpatient. With hindsight, I’d also advise to split your procedures in two if you plan for full FFS: Upper-face (forehead), mid-face (cheeks/lips/nose) with lower-face (mandible/trachea), if you can. There’d be lot less discomfort from the swellings & recovery would also be quicker! (I’m glad I did it this way). In conclusion, I’d definitely recommend Dr. Spiegel for he’s knowledge, experience, professional mannerism, natural and artistic looking results. Also, I would like to add that the staff there are very friendly and welcoming, and everything happened ever so smoothly! Thanks Dr. Spiegel for helping me feel a million times better, confident and happier with myself! I hope I’ve covered everything.